Nvidia's Shield handheld gaming gizmo has been delayed due to concerns over a "third-party mechanical component." 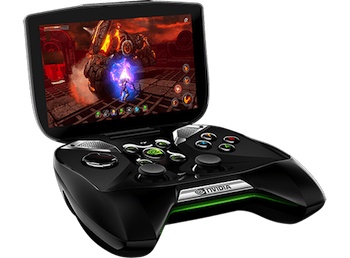 Just one day prior to its scheduled launch date, Nvidia has announced that the Shield handheld console has been pushed back. "Some final quality-assurance testing has just turned up a mechanical issue that we're not happy with," the company wrote on its blog. "So, while we announced last week that Shield will go on sale this Thursday, we've taken the hard decision to delay shipping until next month." A "third-party mechanical component" is the cause of all the trouble, and Nvidia said it's "working around the clock" with the supplier to get it up to spec. "We apologize to those who have preordered Shields and to all those who are waiting for them to go on sale," the company wrote. "But we want every Shield to be just right." Nvidia said it will announce a new launch date as soon as it has one but for now is going with simply July.